(BARRIE, ONT., SCARBOROUGH, ONT. & ST. CATHARINES, ONT.) – The Ontario Colleges Athletic Association (OCAA) recognized the outstanding performance of five of Canadore College’s elite student athletes last week. 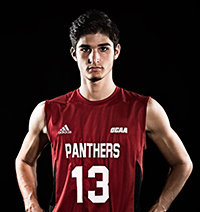 Criminal justice student, Ryan Carnevale, from Toronto, Ont., was named into the OCAA Men’s Volleyball East Division All-Rookie Team. 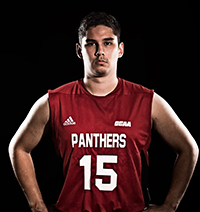 Mechanical engineering technologist student Josiahs Fiddler of Elliot Lake, Ont., brought back the OCAA Men’s Volleyball East Division Second-Team All-Star Award. Ashlyn Kadlecik, Bachelor of Science Nursing student from London, Ont., was named to the Women’s Volleyball OCAA All-Rookie Team. 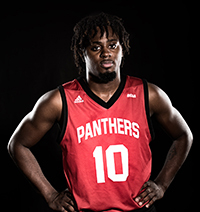 Social service worker student, Daniel Smalling of Vaughan, Ont., received three major awards – OCAA Men’s Basketball League Scoring Champion; OCAA Men’s Basketball East Division Scoring Champion; and OCAA Men’s Basketball East Division First-Team All-Stars. 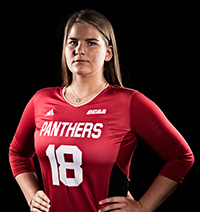 Bachelor of Science Nursing student, Jessica Venhuizen of London, Ont., came home with the title of Women’s Volleyball East Division 2nd Team All-Star. 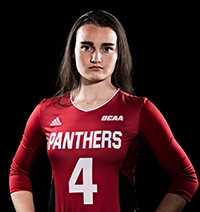 This is the first time in Canadore College Panther history that student athletes receive seven recognitions from the OCAA. Canadore’s athletics department will be hosting its annual banquet on April 5. The Panthers would like to thank their fans that supported them throughout the season.